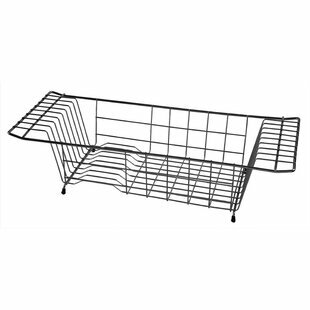 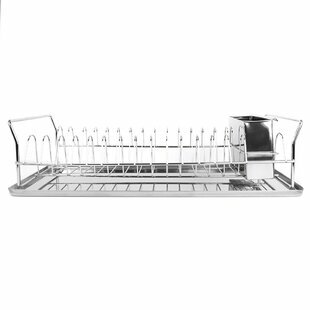 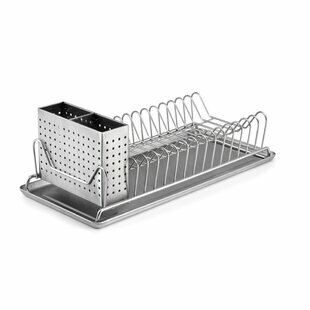 Overall: 4.72 H x 13.18 W x 15.74 D Product Warranty: Lifetime limited Product Type: Dish Rack Material: Stainless steel Overall Product Weight: 0.5lb. 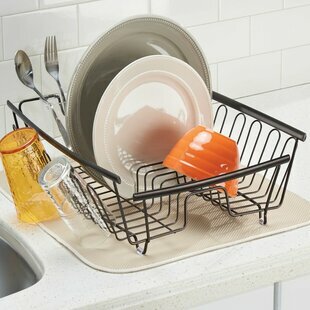 This 2 Tier Dish Rack offers space for draining and drying after washing. 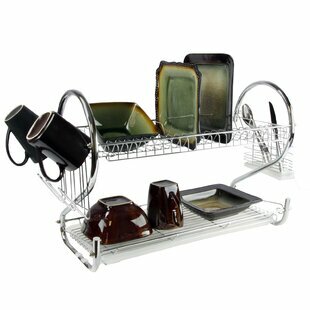 Includes slots for dishes, separate silverware compartment, and expandable mug stand. 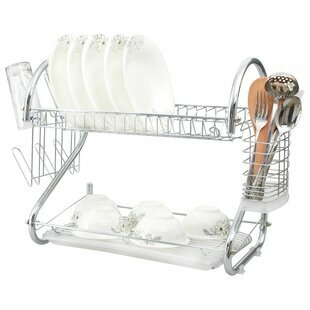 Made from high-quality chrome plated steel and durable plastic. 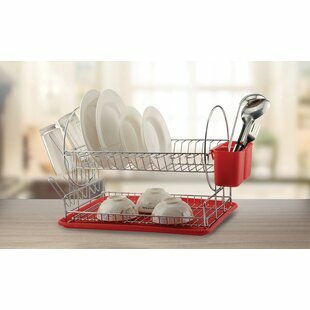 Fits neatly on countertops and cabinets. 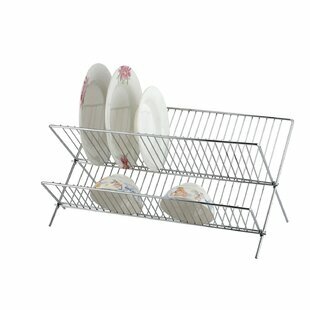 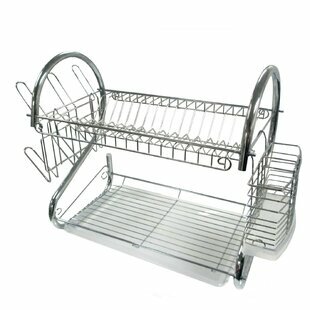 Overall: 9 H x 18 W x 12 D Product Type: Dish Rack Material: Stainless steel Overall Product Weight: 3.875lb. 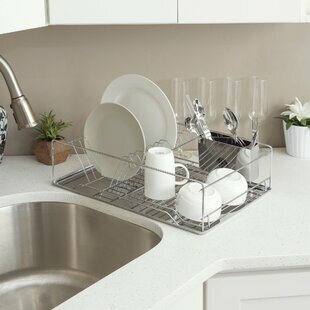 The Metro Aluminum Dish Rack features a swivel drain spout that directs excess water into the sink for a fast dry. 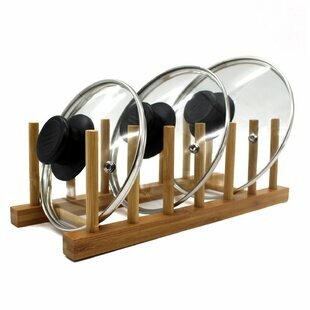 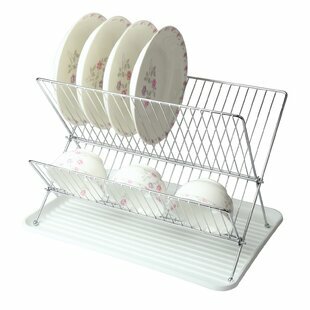 A cutlery holder is perfect for drying forks, spoons and knives, while rungs around the outside hold cups and mugs. 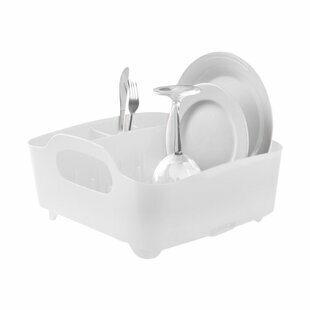 Drain larger items like plates and bowls in the center. 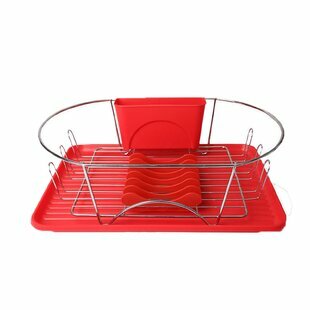 Overall: 5.84 H x 14.04 W x 17.94 D Product Type: Dish Rack Material: Aluminum Overall Product Weight: 3.73lb. 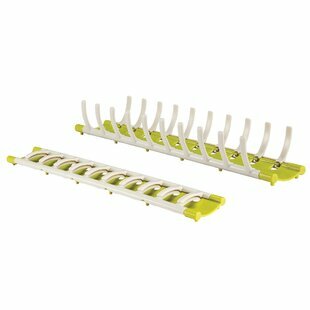 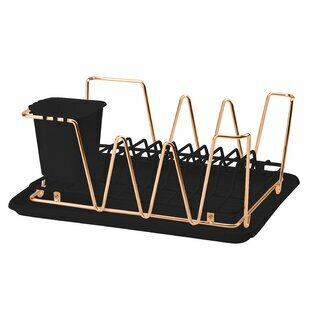 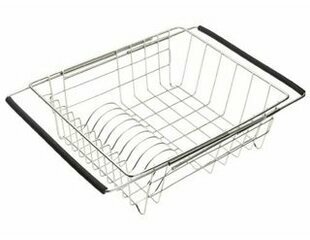 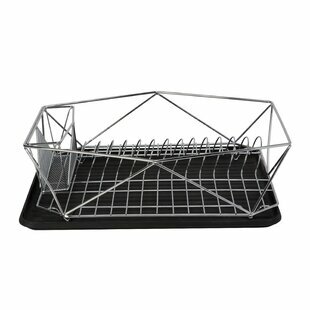 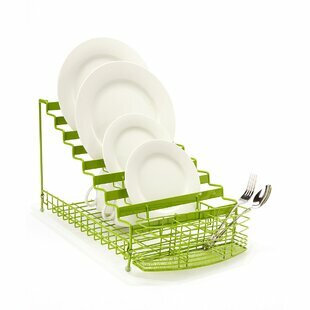 Overall: 5.4 H x 20.1 W x 15 D Product Type: Dish Rack Overall Product Weight: 4.46lb. 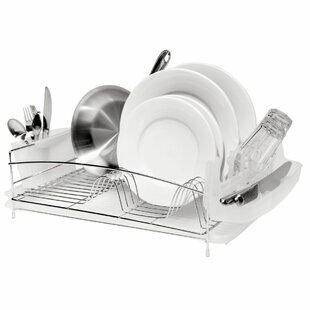 Overall: 14 H x 16 W x 12 D Product Type: Dish Rack Overall Product Weight: 3lb. 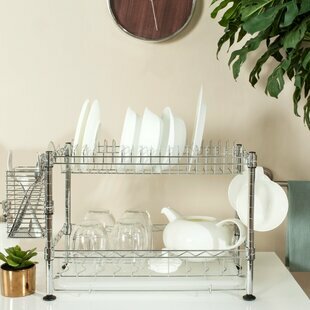 With two tiers of storage, the Darina Adjustable Chrome Wire Dish Rack is a sleek addition to any kitchen with its contemporary metallic style. 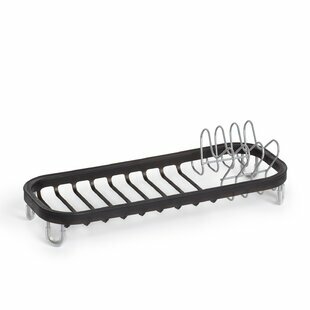 Its extended vertical layers leave home chefs extra counter space, a necessity for todays adventurous gourmands. 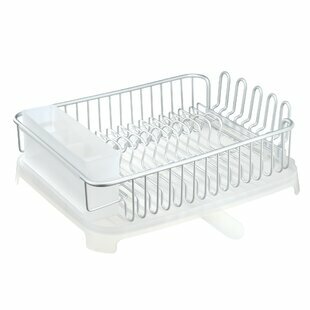 Overall: 11.8 H x 17.7 W x 9.8 D Product Type: Dish Rack Material: Stainless steel; Other Overall Product Weight: 7.1lb. 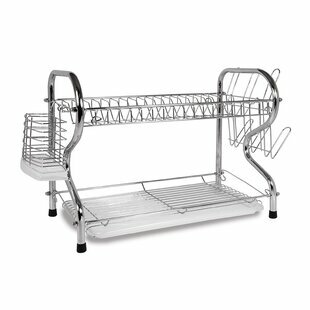 Modern 2-tier design and chrome finish combines stylish with functionality. 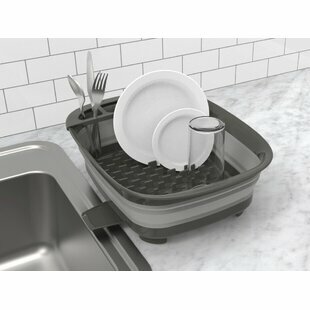 Drainboard with drainage spot to easily drain out water; detachable cutlery cup included. 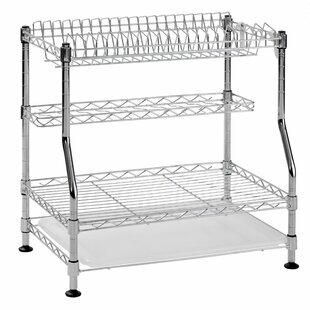 Durable chrome-plated steel construction. 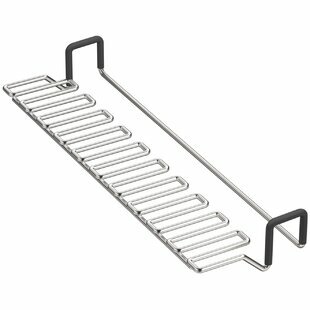 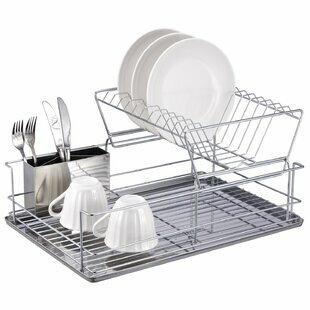 Overall: 18 H x 14 W x 8 D Product Type: Dish Rack Material: Stainless steel Overall Product Weight: 3lb. 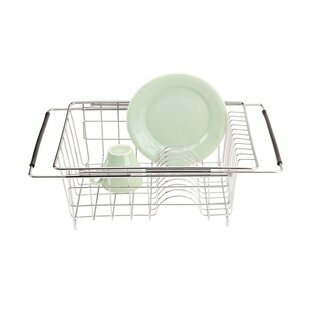 This Bamboo Dish Rack offers space for drying and storing dishes to help organize and maximize storage space. 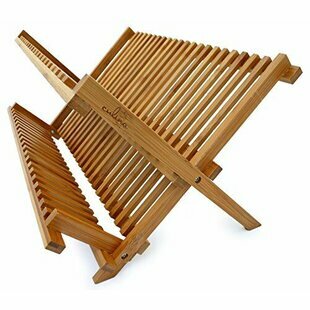 Bamboo construction is simplistic and natural. 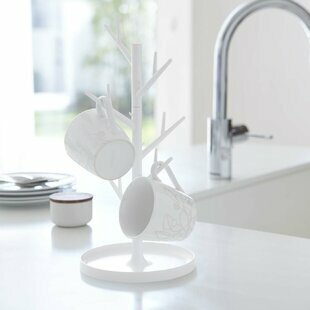 Made from natural bamboo. 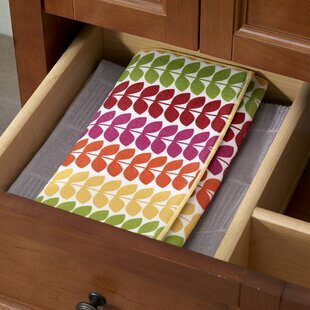 Fits neatly on countertops and cabinets. 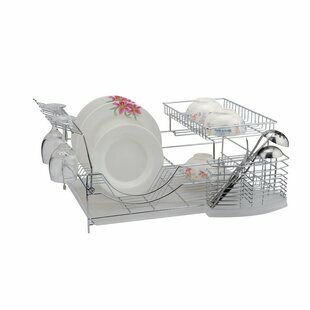 Overall: 14 H x 4.5 W x 4 D Product Type: Dish Rack Material: Wood Overall Product Weight: 0.6875lb. 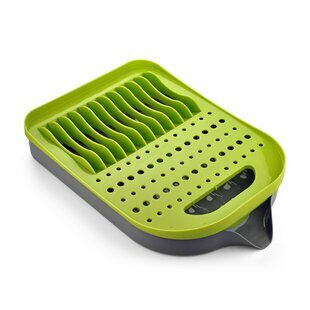 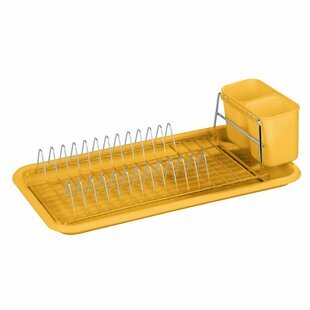 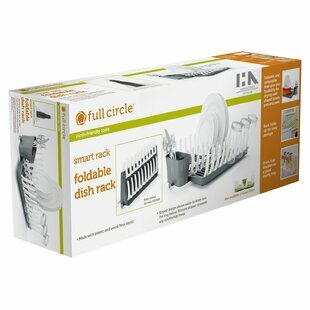 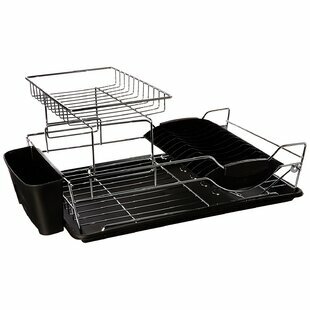 Overall: 20 H x 8 W x 5 D Product Type: Dish Rack Overall Product Weight: 5lb. 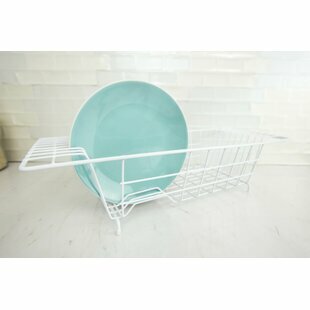 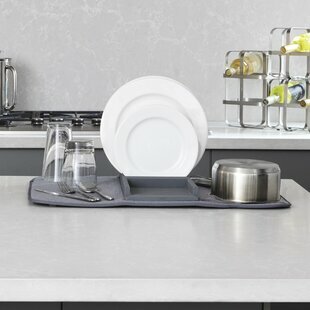 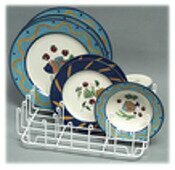 This Kitchen Details Dish Drainer is a perfect place to put all your freshly washed dishes to dry! 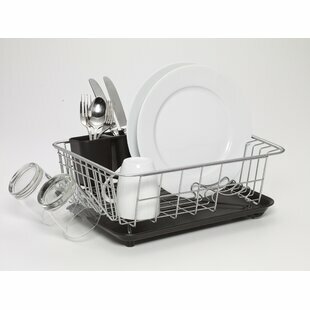 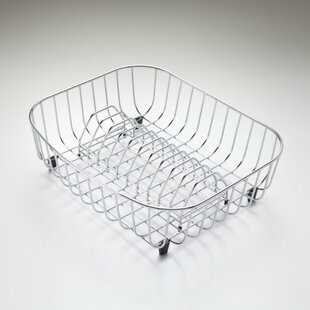 Overall: 3.3 H x 7 W x 18 D Product Type: Dish Rack Overall Product Weight: 1.3lb. 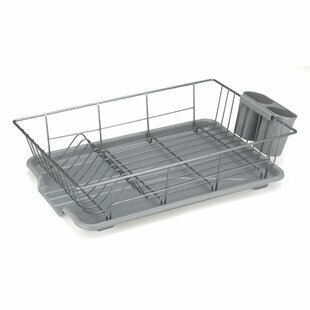 Overall: 2.5 H x 16.7 W x 12.7 D Product Warranty: Lifetime Product Type: Dish Rack Material: Other Overall Product Weight: 2lb.